This SOG Spec Elite 1 Automatic has a satin finished blade made from quality AUS-8 stainless steel. 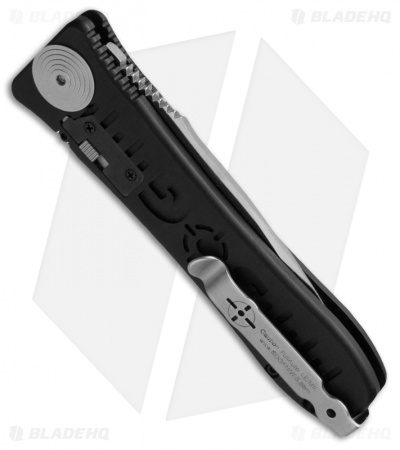 The Spec Elite 1 Auto series from SOG Knives features a solid and dependable build designed as a go-to tool for military and law enforcement personnel. Each knife comes equipped with a practical 3.5" clip point blade made from high-quality AUS-8 stainless steel. Its hard anodized, machined aluminum handle is a lightweight platform that provides an excellent sense of balance, comfort, and control at all times. With over 300 auto folders in my collection I consistently gravitate to this knife for EDC. Then comfortable substantial and out right cool. The pivot part of the blade is ground so that there is very little steel left. Although the knife feels robust, this design flaw makes the blade very weak. I loved the thinness of the knife, the light weight and the shape of the blade. Mine came very sharp out of the box. I used some JB Weld to fill the back side of the handle to stop tearing my jeans. The lettering in the handle is very sharp otherwise. As long as you just play with this and do not rely on it to do any kind of meaningful work, it may be just fine. I was shocked at how little pressure it took to snap the blade steel. 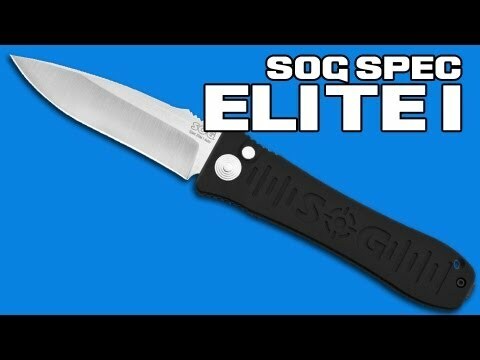 I'm pretty disappointed with SOG. Pretty weak engineering for a blade that you are supposed to be able to bet your life on. On the positive side, BladeHQ took great care of me. I ended up paying a little more for a Benchmade and am very glad I did. Thanks BladeHQ. Haven't put it to any hard use but it is very sturdy, opens quick and locks up perfectly. I didn't note play side to side or front to back whatsoever out of the box. Came shaving sharp.Great for EDC uses. Nothing other than the knife in the box, don't expect literature with it. Would like a thumb stud like the Japanese model but doubt it will ever need it. Nice fit and finish, well made. I got mines on bladeops though since it was out of stock for a while. Couldn't be more than happier, came in razor sharp out of the box, fine edge, very thin, fast action has a very strong spring, good lock up no movement, lightweight, nice handles, safety works great I like the way they made that. Sog is high quality. 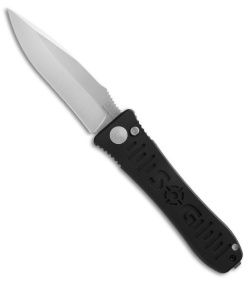 I recommend getting one this is a more expensive knife, get yours now before there all gone. This knife has a life time warranty, and made in USA that's the best thing I like about it. I'm so happy to have this no complaints here, I'm satisfied with my purchase, I will always buy from again.